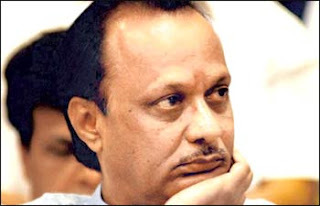 Maharashtra Deputy Chief Minister with a charge of Finance and Power ministry, Ajit Pawar, resigned from Maharashtra cabinet today. NCP strongman from Baramati, Ajit Pawar took this surprising decision following allegations related to irrigation scams in Maharashtra state in past few years. By playing resignation card, Ajit Pawar has managed to push both ally Congress party as well as his detractors from his own party NCP to back foot. It would be interesting to see what actions now other tainted ministers like Chagan Bhujbal and Sunil Tatkare takes.